Vermont’s forests, rivers, and mountains are central to the state's identity, economy, and way of life. Generations of Vermonters have earned their livelihood from the land and cherished the intimate connection between people and nature that defines our state and its many tight-knit communities. The Trust for Public Land works with Vermont communities to protect the land and waters that matter most to them—to balance growth with conservation, reduce risk of flooding, attract tourists, support local economies, ensure access to trails and streams, preserve water quality, and protect the land that wildlife needs to thrive in a changing climate. Spectacular views and proximity to Montpelier, Waterbury, and Stowe make Mount Hunger, Stowe Pinnacle and White Rock Mountain three of the most popular day hikes in Vermont. Just below these peaks lie threatened properties totaling 1,800 acres—important parts of the hiking experience that were at risk of being sold and developed. 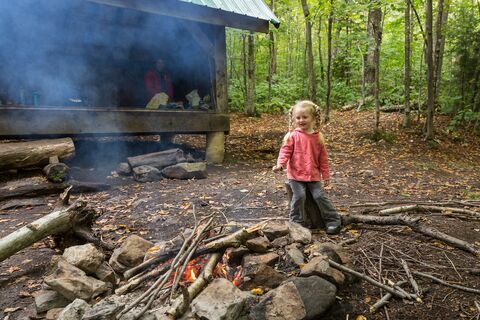 Set in the foothills of the Green Mountains and the fast-growing town of Williston, Vermont, the 393-acre Catamount Outdoor Family Center attracts more than 20,000 bikers, skiers, and hikers per year who take advantage of more than twenty miles of trails that meander through a diverse landscape of open meadows and forested ridges. Rolston Rest is the largest inholding in the Green Mountain National Forest and serves as the viewshed for the nearby iconic Appalachian National Scenic Trail. Though privately owned, the property has long been a popular destination for hikers, hunters, and skiers. The Trust for Public Land worked to protect more than 350 acres surrounding a section of trail in Stamford for the Green Mountain National Forest. The Trust for Public Land is working to preserve 469 acres of the former Ascutney Mountain Ski Resort as an addition to the West Windsor Town Forest. A Vermont woodland now owned by the community with 70-miles of heart-pounding mountain biking trails created out of 355 acres of former quarry land. A mix of forestland, wetlands, and open meadow, the Blueberry Lake property provides outstanding opportunities for recreation, including swimming, fishing, hiking, ice skating and cross-country skiing. And its location, adjacent to the Roxbury State Forest, offers prime habitat for songbirds, black bear, and other wildlife. The Trust for Public Land helped establish the Brushwood Community Forest in the Upper Connecticut River Valley, connecting the Fairlee and Bradford Municipal Forests and offering opportunities for sustainable timber harvesting, recreation, and providing significant wildlife habitat and watershed protection. 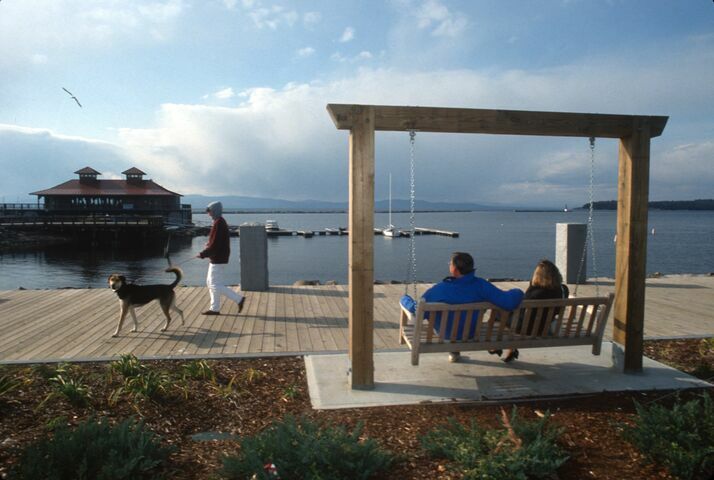 Our work with the City of Burlington began with the purchase of land on Lake Champlain from Central Vermont Railway that included an abandoned rail line and continued with work on the Burlington Open Space Protection Plan and culminated in the creation of Mayes Landing, a new park on the waterfront along the Winooski River. TPL led a coalition to save the Phenn Basin property in the Mad River Valley and add 2,700 acres to Camel's Hump State Park, Vermont. Community forests are based on the principles of sustainable development and community-based natural resource management and promote community vitality and economic well-being. 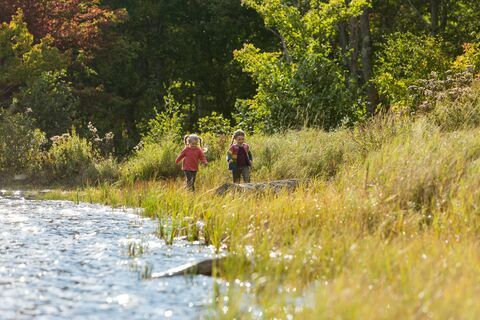 The 410-mile Connecticut River is New England's largest river, draining a 7.2 million-acre watershed that supports fisheries, farmlands, forests, and fresh water in four states: New Hampshire, Vermont, Massachusetts and Connecticut. In March 2012, we protected 680 acres along the river, which will be added to the Green Mountain National Forest, linking three unconnected tracts and increasing recreational access with new trail linkages and future trailheads. To TPL helped add Dover Hill to the Green Mountain National Forest, creating a contiguous protected block of more than 4,300 acres. Working with the Mad River Valley community and the State of Vermont, we protected the 2,085-acre Dowsville Headwaters to Camel's Hump State Park, benefiting mountain bikers, hikers, backcountry skiers, snowmobilers, hunters, and other lovers of the outdoors. owned and sustainably managed for timber by the Green Crow Corporation. The Trust for Public Land helped create this pocket park just outside its Montpelier office at Court and Elm, and donated a conservation easement over the park area to the Capital Area Land Trust, ensuring that even if the property is eventually sold, the park will remain open to the public. Partially surrounded by the Green Mountain National Forest, Glastenbury Mountain parcel sits along the spine of the Green Mountains, offering one of New England's most scenic views from the Long/Appalachian Trail, which is now protected with TPL's help. The Trust for Public Land works to conserve land in the north Green Mountains from Mount Mansfield to the Canadian border that include more than 800,000 acres of wildlife habitat, forests, and trails, with a goal to conserve an additional 20,000 acres in the next decade, particularly along the Long Trail and Appalachian Trail. The Trust for Public Land worked with the State of Vermont to protect Jackson Valley, a 936-acre property along the ridge of the Green Mountains that spans the Vermont-Canada border. 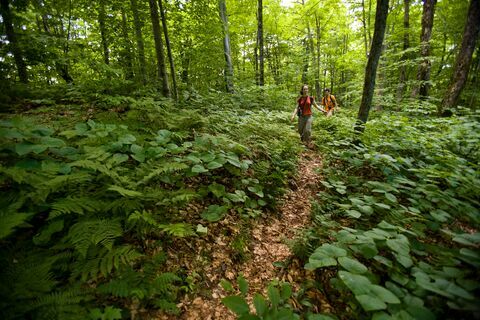 The Trust for Public Land is working with the state of Vermont and the community to preserve all 1,346 acres as a new state forest to be named in honor of the late Senator Jim Jeffords, a Shrewsbury native with a long legacy of environmental stewardship and land conservation. The property, known as Bissonette Farm, contains the headwaters of the LaPlatte River, which feeds into Lake Champlain and serves as a drinking water supply for approximately 68,000 people. TPL helped the town of Lemington acquire property for a community forest atop Monadnock Mountain in Vermont's Northeast Kingdom from International Paper Realty Corporation using federal Forest Legacy Program funds. For years, conservationists and hikers in East Montpelier, Vermont, had their eye on 481 acres of forests, fields, meadows, and wetlands along Mallory Brook. Located on Lake Champlain near the Vermont-Canada border, the 6,500-acre Missisquoi refuge includes the largest intact floodplain forest in the Northeast, and also provides habitat for many species of wildlife. With support from the Montpelier Conservation Commission, Vermont Land Trust, and East Montpelier Trails Association, TPL helped the city of Montpelier acquire an addition to the North Branch Recreation area, which includes a network of trails and provides important habitat for beaver, moose, and other wildlife. Formerly owned by the Stanley Tool Company, this land in the towns of Chittenden, Pittsfield and Killington near the Green Mountain National Forest once supplied timber for the manufacture of tool handles for hammers. TPL helped the Vermont Institute of Natural Science acquire 28 acres in Montpelier in the flood plain of the north branch of the Winooski River, adjacent to the North Branch Nature Center, and within walking distance of the Vermont State House. Situated to the south of Green River Reservoir State Park in Vermont, the 339-acre Zack Woods property is considered a Lamoille Basin gem by both scientists and local residents.